Exactly 19 years after contesting against each other in Nigeria’s first Presidential election of the 4th Republic, former President Olusegun Obasanjo and a former Secretary to the Government of the Federation, Chief Olu Falae, will on Tuesday meet at Obasanjo’s Abeokuta residence. The meeting has one agenda: how to unseat President Muhammadu Buhari in 2019. Impeccable sources told The Punch that Falae, who is the Chairman of the Social Democratic Party, and Obasanjo would strategise on how to bring all third force elements under one banner. A source, who is privy to the meeting, said since Buhari had ignored all warnings by Obasanjo and other ex-generals not to seek a second term for the sake of the country, many of such political meetings would be taking place. The source said, “It is obvious that Buhari has failed in his three years in office. He spent about four months of 2017 in the United Kingdom on health grounds and still wants to run for a second term for selfish reasons. “He has failed to improve the lives of Nigerians but continues to give excuses for his own failings. He has also refused to endorse a younger person to succeed him. When contacted on the telephone, the Personal Assistant to Chief Olu Falae, Capt. Moshood Raji (retd. ), confirmed the scheduled meeting with Obasanjo. He, however, said the meeting was a private one and would therefore not disclose it agenda. 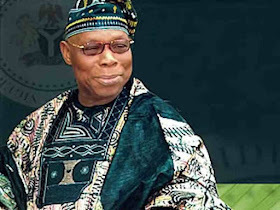 Obasanjo, who is the leader of the Coalition for Nigeria Movement, had also been having talks with the Nigeria Intervention Movement and over 30 political parties. The Punch had exclusively reported that Obasanjo met with a former governor of Kano State, Rabiu Kwankwaso; a former Cross River State governor, Donald Duke, a former Osun State governor, Prince Olagunsoye Oyinlola, and leaders of over 30 other parties. Others who attended the meeting which took place at the Protea Hotel, Lagos, included a former President of the Nigerian Bar Association, Dr. Olisa Agbakoba (SAN), and Dr. Abdujalil Tafawa-Balewa, both chairmen of the NIM. The former President, who has been critical of Buhari’s government, had recently asked the nation’s youths not to reinforce failure by voting for Buhari.